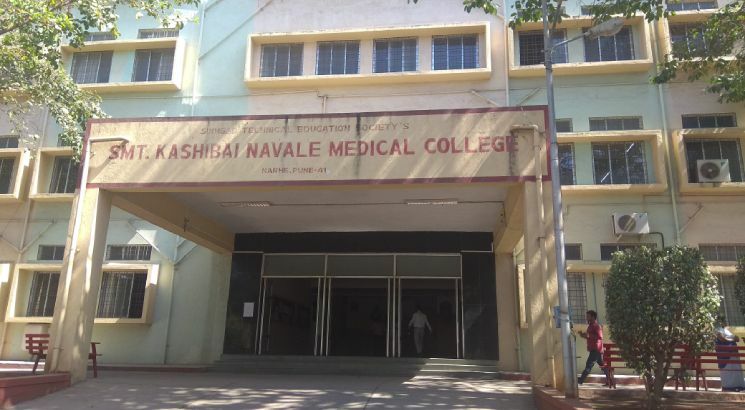 NEW DELHI, FEBRUARY 13: Admissions to the Smt Kashibai Navale Medical College (SKNMC), Pune for undergraduate and postgraduate programmes have been suspended for the A.Y. 2019-20 after irregularities were found. This is the second case of suspension of admission in the past few months which has come to light after a surprise enquiry based on several complaints by students and parents. Previously, Sridev Suman Subharti Medical College (SSSMC), Dehradun was taken over by the Uttarakhand State Government after the intervention of the Supreme Court for similar irregularities. The students were moved to other medical colleges in the state. SSSMC was first de-affiliated by Hemwati Nandan Bahuguna Uttarakhand Medical University Dehradun. 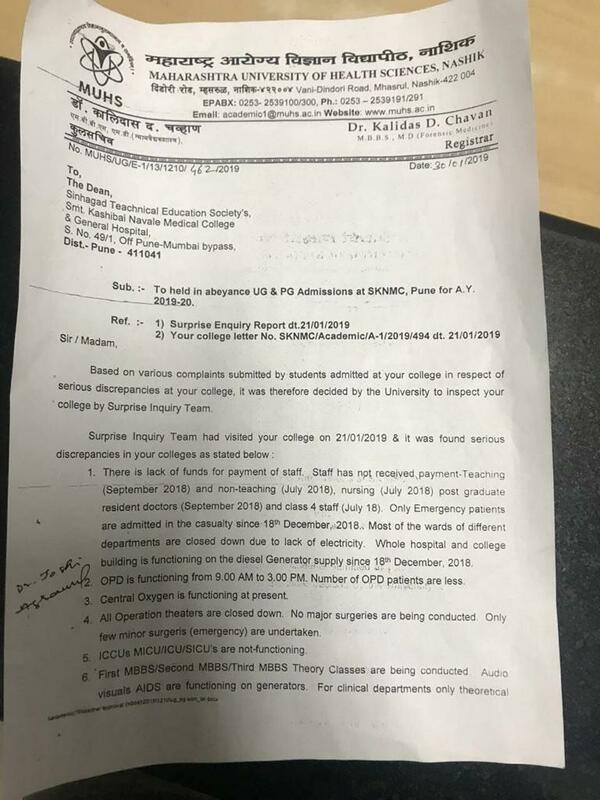 Dr. Kalidas Chavan, Registrar, Maharashtra University of Health Sciences (MUHS) conducted a surprise enquiry based on numerous complaints received by students and parents regarding the deteriorating academic conditions at SKNMC, Pune. The team visited the Institute on January 21, 2019, and submitted their 14 points report to the affiliated university mentioning the discrepancies. Fresh admissions to both UG and PG programmes at the university are suspended for A.Y 2019-20 for non-compliance at SKNMC, Pune. 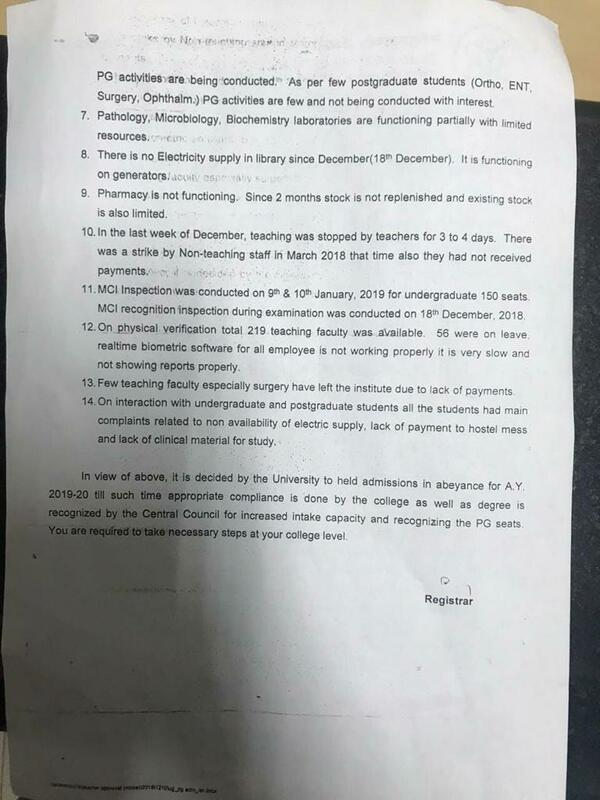 An official letter from Dr Chavan to the Dean, SKNMC, dated January 30, 2019, mentions all the 14 points on which suspension orders were drawn. Most of the wards of different departments have been close down due to lack of electricity. The hospital building is running on diesel generators. Salaries were not being paid by the Management and 56 teachers were found to be on leave. ICCUs MICU/ICU/SICUs not functioning. All operation theatres have been closed down. No major surgeries are being conducted. Pathology, Microbiology, Biochemistry laboratories are functioning partially with limited resources. No classes were held for 3-4 days in the last week of December due to strike. Students complained about the lack of clinical material for study. Irregularities in educational institutions have put the students’ careers in peril. Adding to the woes are faculty shortages, unpaid salaries, pending electricity bills, land disputes, lack of infrastructure, unpaid bank loans leading to the seizure of bank accounts, check bounces and educationists serving jail terms. These institutions collect fees but do not provide them with the promised education or academic support. The fees paid by the students is often backed by expensive education loans. All the accounts of the Sinhgad Technical Education Society (STES) is frozen by the Income Tax department and the Charity Commissioner has suspended the President of the Trust. SKNMC is run by the Sinhgad Technical Education Society. More than 900 students are studying here backed by 275 teaching faculties in medical college. The society has more than 25000 students studying and close to 8000 teaching and support staff in all its institutions.